I am running a legacy Windows XP Pro virtual machine inside an iMac. I've used Cloudberry since version 3.whatever . All of a sudden 5.2.0.38 has malfunctioned. Cloudberry Support will not help because they no longer support XP. All I need to know is how to downgrade. I have executables from every version I've bought, as well as the license numbers. One post said Cloudberry disables old license numbers upon purchase of new versions . . . is this true? This was not at all what Cloudberry support said when I elected to buy 5.2 at which point I was told I could always downgrade if it didn't work. If so, how on earth can I get this program running again. My plan is to return to v 4.something, the last one which worked. 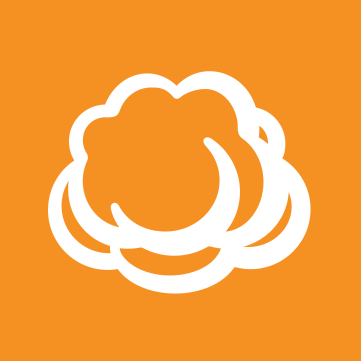 I'm a big fan of Cloudberry and recently purchased it to work on my iMac. An earlier attempt with the first version would not run, but the latest works perfectly. Please, somebody, help. I cannot and will not upgrade Windows . . . mission-critical programs run on it which will not run on later versions (besides which I am an admirer of Microsoft OS). Toby, this is something that Support can assist you with. If the new version doesn't work for you on XP (as XP is no longer supported) then I'd recommend you install the older version. You can reach out to support before or after for guidance on how best to proceed with the license. You can reach support from Tools - Diagnostic in the product or from the web site. Please reference this post when opening the ticket. Thanks, David, I had asked support for guidance and got none. But, will try again! I also reached out to Support to get in touch with you on the old ticket. Thanks, I did respond to them using the old ticket number. I am a huge fan of Cloudberry so I hope somebody can advise me. I don't think I could live without it (which is why I'm so concerned). I got precious little help from Cloudberry with respect to downgrading. I am posting so somebody else will know what to expect. Although CB upgrades seamlessly over your provider account (in my case S3) and backup plan, when you downgrade everything is wiped out . . . completely. Starting over again is not trivial because you have to know your bucket on S3 (I had three, only one of which was recognizable as being from Arq). CB doesn't keep this information so you have to log onto the AWS Console (for those using Amazon) where, after entering your password, you are taken to the console where there is a listing of your buckets. If you click on a bucket, you can see its CB name. Once I had that information, I had to re-enter all the Amazon information (with all those incredibly long, un-copyable key codes) and then re-create my backup plan. I don't know yet how well the backup is going, but I fear it is re-doing everything. Oh, well. To add to my joy, when I re-started Windows, Parallels failed to sync the clock so the initial backup failed. Can't seem to fix this issue with Parallels, discovering to my horror that Windows was using Central American time for some unknown reason instead of US CST. This happens periodically. I hope nobody else ever has to go through this, but given search capabilities, maybe this post will save you the days of frustration I've experienced.